I’m currently writing on the next article for The Free Online Survival Guide – The Bug In Plan. 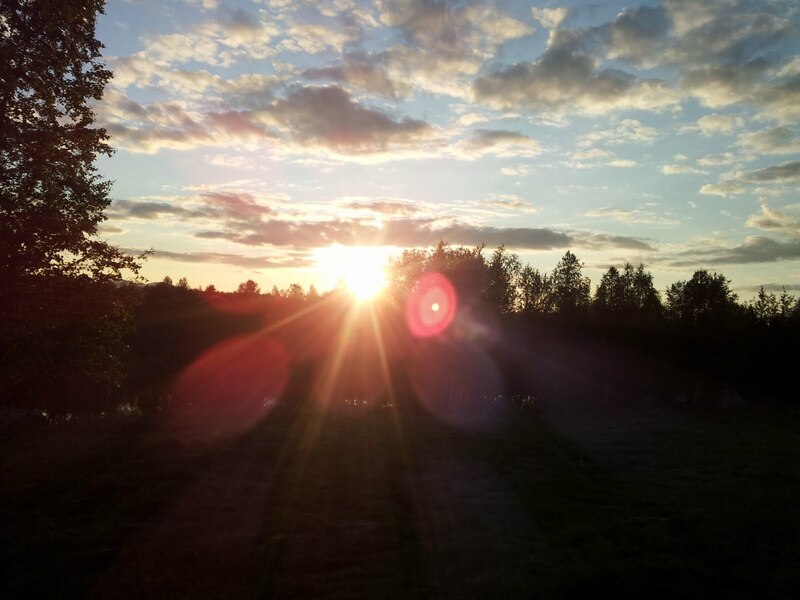 Last weekend we had the traditional summer celebration of midsummer here in Scandinavia. For us how live at the Arctic Circle the sun never set in the middle of the summer and it never comes up over the horizon in the middle of winter. We experience large seasonal variations and right now it almost seems absurd that the sun will not be seen at all in six months. But the days will get shorter and shorter. The summers are short and the winters are long here. I thought that it could be a good idea to share some pictures to give the readers some kind of idea about what type of setting that the author encounters. In this picture you can see four fixed blade knives, three of them with a traditional Scandinavian design. The first knife from the left is a custom made knife with a tanto style blade, not something that is traditionally used here. 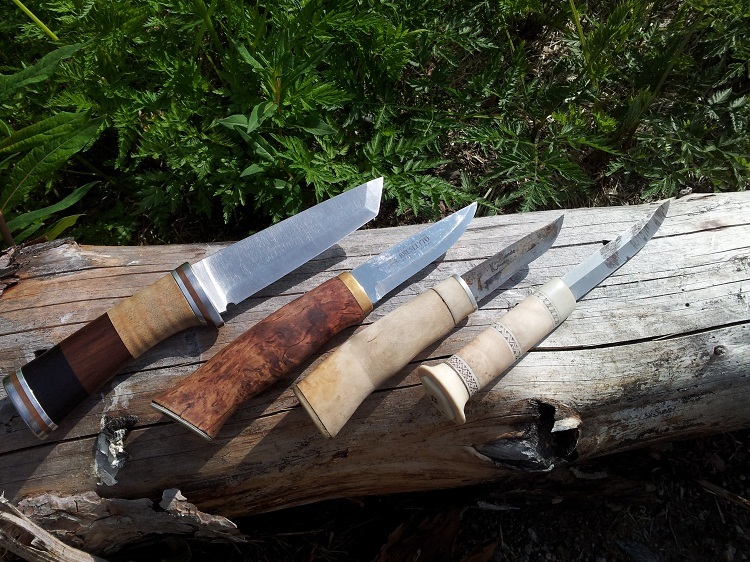 The second knife is a knife from the company Karesuando Kniven, the third knife is from Brusletto and the forth knife is a classical knife of the same style that is used by the Sami. Knives with handles made from synthetic materials may be more practical in some situations, but they lack some of the esthetics that a custom made knife or a knife with a wooden handle of has.